It has been that kind of year for the Knicks. Coming off a 106-98 loss to the Spurs on Saturday the Knicks are finally back in New York after suffering a four-game sweep out west. With the season coming to a close and with seemingly nothing remaining to lose, New York managed to have even more problems arise. Center Joakim Noah, who has struggled most of the season to stay on the court due to injury, was suspended 20 games due to a violation of the league’s drug policy. This resulted in Noah having competed in only a mere 46 contests for the Knicks this season. Over the last two years Noah has not even completed a full season’s worth of games, playing in only 75. His level of production when he was on the court was disappointing averaging just 5 points and 8.7 rebounds a night. This suspension is just the icing on the cake to finish his season. New York gave Noah a massive 4 year 72-million-dollar contract last off-season. Many fans were concerned at the time that the Knicks would regret the last year or two of the contract, but his production in the first year of the deal has many regretting it already. Nearly every single major move that team President Phil Jackson made in the last year was not a success. Not only has Noah’s play been disappointing but the gamble placed on Derrek Rose has failed. On the surface, Rose appears to have played well averaging 17.9 points a night on his best shooting percentage since 2009. However, the major issues have surfaced on the other end of the court with Rose having the worst defensive rating on the team. These problems on this side of the court have haunted the Knicks all season, sitting in the bottom five in points allowed. Another Phil Jackson acquisition, shooting guard Brandon Jennings, who was touted as one of the best sixth men in the league in the offseason, was cut from the team. Shooting guard Courtney Lee has been somewhat productive averaging almost 11 points a night. However, he has not been as impactful as expected especially considering his nearly 12-million-dollar price tag. 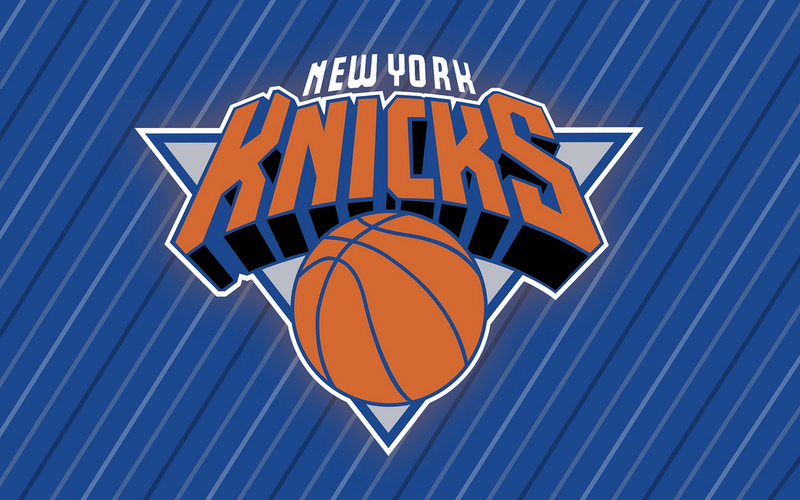 The Knicks now sit at a 27-46 record and have solidified a fourth straight losing year. With only nine games left in the season, the Knicks can’t wait for this failed season to be over. Despite the major contracts given to Noah, shooting guard Courtney lee and the acquisition of Derrek Rose, the Knicks will most likely finish with a WORSE record than last year. Despite spending millions of dollars and hurting their salary cap flexibility going forward. There is some silver-lining to the Knick's awful play this season in the form of the 2017 draft. For once, New York has a first round pick in this year's draft and it will likely be a top 10 or even a top 5 pick if the lottery balls bounce their way. Despite Phil Jackson's awful free agent signings since taking over as President of the Knicks, he has been able to make one successful acquisition: Kristaps Porzingis. Yes, the only good talent assessment as a team President seen from Jackson has been through the draft. There is some hope that he will be able to sign a talented player this year. Porzingis has taken some steps back this season so it is entirely possible he will not end up being the franchise player the Knicks hoped he would be. This puts even more pressure on the Knicks to find a franchise defining player in this year’s draft. Aging all-star Carmelo Anthony will be 33 next season and the Knicks will most likely be looking to move him in the off-season. However, due to the long contracts given to Noah and Lee, even if they do manage to move Carmelo’s contract, they will be unlikely to overhaul the roster. Their best bet is to find a young talented player they can build around in the draft and continue the development of Porzingis. Despite how little chemistry this team has on the court, it is unlikely it will look much different next season due to the many unmovable long-term contracts. Until then, the Knicks will grind out these final nine games starting at home vs Philadelphia as they wrap up another failed season.